This Father's Day I am missing my family. I am in Singapore and have participated with the Pasir Panjang church of Christ in their Family Camp in Malaysia. It was a wonderful experience (more on the camp later). This Father's Day I am rededicating myself to "wrestle in prayer" for my family (Colossians 4:2,12). I want to recommit myself to pray signficant transformational prayers for the spiritual growth of my family. Chris Rice sings a song called Mama Prays that touches me and reminds me of the power of a parent's consistent prayer! Here we are, how'd we ever get this far? One of the greatest blessings in my recent trip to Prato, Italy was the lessons I learned from the Lord as I saw Him at work through His people. I naturally enjoyed seeing how God is at work in Ryan’s life. I see that Ryan is growing in his trust and confidence in the Lord. I see him growing as a servant to influence others for the Lord. I see him growing to be more dependent upon the Lord and more interdependent in his relationships with others. I also enjoyed visiting with the missionaries and the AIM coordinators in Prato, Mike and Anto Mahan. Mike is an ex-AIMer who was in school at Sunset about the time Sherry and I returned from Mexico. Anto is Italian and does a wonderful job of encouraging, mothering and helping the AIM team with language and cultural learning. I enjoyed my talks with Mike and Anto. It reminds me that often those of us in ministry, particularly in mission work need to talk to others who share our ministry experience. 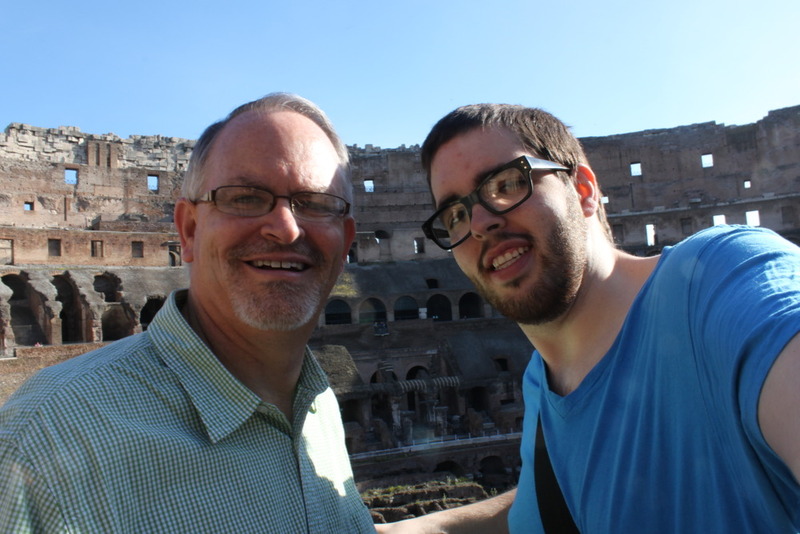 Mike has been laboring in Italy for over 15 years and is one of the longest serving missionaries now in the country even though he is from a younger generation. I also enjoyed listening how God has worked in the lives of Roger and Heather Mahan who serve in Pistoia. I was so encouraged to hear of their faithfulness even through difficult and lonely times. I have great respect for missionaries who are faithful and persevering. Perhaps one of the most important lessons I learned came from the AIM team itself; Shae Baker, Josie Collins, Osiris Hernandez, Ryan Jarboe and Matt Tracy. I spent time with them in a devotional on their day off. They encouraged me with their joyful, heart-felt singing and I was instructed through their insight into Scripture as they read 1 Peter and shared what God was teaching them through the text. I heard them apply the word of God to their lives as they saw those who were aliens and strangers, yet called to live faithful, holy and Christ-like lives in a world that is not their own. I listened with a strong sense of humility realizing I was in the midst of people truly living for the Lord, struggling to be obedient disciples. I was able to understand some of the Italians using a mix of Spanish, Italian, English and pure guess work. I was encouraged by their passion for word of God and for their service to one another. I smiled as one of the sisters came to me and pointed to Ryan and made sure I knew that he is a “good boy, doing a good work with the church.” A parent needs to hear comments like that every once and while. I praise God for the lessons learned through my brothers and sisters laboring in Prato, Italy. God is at work in His kingdom. I want to continue to learn the lessons He wants to teach me. It was an unexpected trip. Sherry and I are planning to visit Ryan in Italy later this year in September. However, I had a couple of trips that were planned for March and April that were postponed, so Sherry felt that Ryan and I needed to spend some time together Sherry is busy getting the preparation done for Let’s Start Talking Teams to go to the field to share Jesus and themselves with people around the globe. She could not take time away from her ministry, so she made the sacrifice. She made the decision since I was not traveling for ministry that I needed to travel for family. She quickly got on the internet, used some of our mileage and said, “Here are your tickets leaving on the 5th of April and returning on the 13th, I am about to purchase them.” When you wife says you are going to Italy to see your son, one does not argue! I flew into Rome and Ryan had given me instructions on how to take a train from the airport to the main train terminal in Rome where he would meet me. On the short train ride, I did what I general do on foreign trips, I wrote a prayer in my journal asking the Lord to use me, teach me and accomplish His will on the trip. 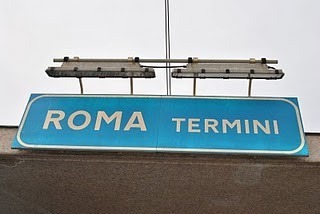 I had just finished that journal entry and looked out the window and saw the sign that said, Roma Termini. I will never forget the feeling, my heart jumped and all I could say was “I am going to see my son!” It has been almost a year and it will be over a year until Sherry sees Ryan. My wife had given me a special blessing that even I did not know how much I needed, to see my son and see how God is at work in his life. It has been awesome to be in Rome, Prato and today going to Florence. However, the greatest blessing has been to be with my son, his mission team, his coordinators and the church in Prato. I have seen growth take place through trials, through being surrounded by good people and through time in the word and prayer. I praise God for a wonderful wife, willing to make a sacrifice and a son growing in the Lord. You would think that moving from Lubbock, Texas to Dallas/Ft. Worth, Texas would not bring any culture shock at all. That is where you are wrong. What we call culture shock can have little to do with culture itself. Culture Shock is “generally defined as a psychological disorientation that most people experience when living in a culture markedly different from one’s own.” I don’t want to diminish the significant of the cultural adjustment that missionaries and other experience by moving to a distinct and different culture from their own. 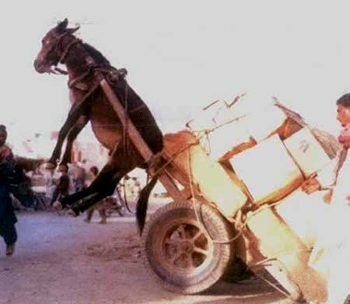 There are very significant challenges in such a move. However, I want to also understand that inherit in this culture shock experience is the sense of loss or even grief that one experiences in a move from one place which has been a place providing security and identity to a new place yet to provide those needs of belonging and purpose. Sherry and I have enjoyed a very significant relationship with people in Lubbock, Texas for more than 31 years. We met at the Sunset Church of Christ, grew up spiritually there and were married in the Sunset building. The Sunset church became our sponsoring church for the 6 years we spent in Mexico City. Yes, we did go through some culture shock in our move to Mexico City. However, I went through a greater transition in moving back to Lubbock after 6 years in Mexico. This fun experience is often called “reverse culture shock.” Part of my disorientation in returning was trying to figure out which words to use. The Spanish language was more expressive to me and more meaningful than English which somehow did not seem to express my true emotions at times. I even had a hard time deciding which Bible to teach from. A New International Version did not sound like or feel like the “word of God” to me. So I would often go into the classroom with my Spanish Bible in hand feeling more confident that God was truly speaking through “that Bible.” I remember feeling that I was listening, speaking words, but just did not seem to connect with people around me. I felt like I was often in a fog not truly connecting and not truly being understood. It was all of part of the disorientation in moving from one environment to another. Fast forward to 2010, after year in life, ministry and community in Lubbock, Sherry and I made a move to an exciting ministry with Missions Resource Network. We knew there would be changes, challenges and adjustments to new friends, new styles of ministry and the dreaded traffic in the metroplex. Yet we were somewhat surprised with the difficulty of this move. I began working with churches and mission teams as Sherry started looking for a job which we were confident that the Lord had in store for her. I taught churches and missionaries about the culture shock they would need to be prepared for as they or their missionaries went to their new mission field. I found myself using my wife, Sherry as an example (with her permission of course). Imagine all the relationships and environment around Sherry in Lubbock that gave her a sense of security, identity, purpose and belonging. Of course, you begin by mentioning Jay, the most important support, the husband. Others include: children; church community; a close small group we were a part of; an accountability group of two close friends; a job where she found purposed and identity; a house that provide sense of security, her nest; a city where she knew where to shop, a doctor, a dentist she knew and trusted, the list goes on and on. Then comes the move away from those things and the relationship with children and friends are not completely gone but for all practical purposes are to some degree lost. The only relationship left standing that remains physically present is the husband, who all of a sudden is not much help. The good news is those relationships have not been lost and all of that support network will be expanded and replaced in the new location. However, it takes time. Disorientation sets in and loss brings some level of grief. Remember I said that those things you have lost will all be replaced with time. More than a year later we see God’s blessings in our life already. 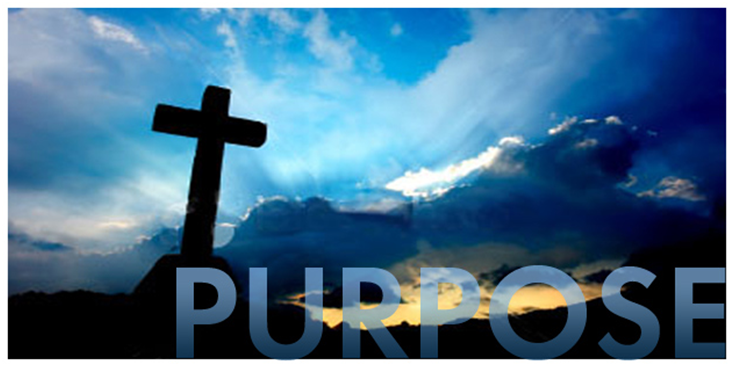 Relationships are forming, community is being build and renewed purpose if found in new ministry with Let’s Start Talking and Missions Resource Network. Change sometimes brings about challenges, loss and grief. However we are finding that it also brings about transformation as God continues to shape us and mold us for service in His kingdom. Culture shock often has little to do with culture, it can be a tool that God uses to form us into the image of His Son (2 Corinthians 3:18: Galatians 4:17). Perhaps part of the journey is discovering that home is wherever Jesus is and we are simply aliens in this life and we find our security, belonging, purpose and identity in God’s house, God’s life (Ephesians 2:19). In a sense, culture shock is a process that helps us to not get too comfortable where we are, but to realize we find true belonging in the presence of our Creator. The second stop on our New Zealand journey was in Tauranga. I was so impressed with God’s work through the Otumoetai church of Christ and the South Pacific Bible College. I learned a great deal from my brothers and sisters in Tauranga. I was impressed with their faithful service in the South Pacific and beyond. I was inspired by how God has used them to expand his kingdom. I was also excited about the great potential I see in the church and in the college. Alan and I were able to spend significant time with both the faculty and staff at the SPBC and the leadership of the Otumoetai church. We listened as they recounted their history and how God had brought them to this point in their history. We were inspired by their honesty in evaluating their strengths and areas of needed growth. We were excited as they began to envision their future and identify specific steps which they want to take to see God’s vision become a reality in New Zealand, the South Pacific and beyond. I have heard of the Otumoetai church and SPBC in Tauranga for years and I now know that all of the wonderful things I have heard are indeed true and perhaps a little bit of an understatement. We were able to deepen great kingdom relationships, learn from what God is doing and begin to take steps of deeper partnership to join God’s work in the South Pacific. I am resisting the temptation to begin to mention names, however there are so many godly servants and good friend in Tauranga it would talk me longer than I have now to mention everyone. I am sure you will be hearing more about those in Tauranga as God continues to teach me through their life and service. 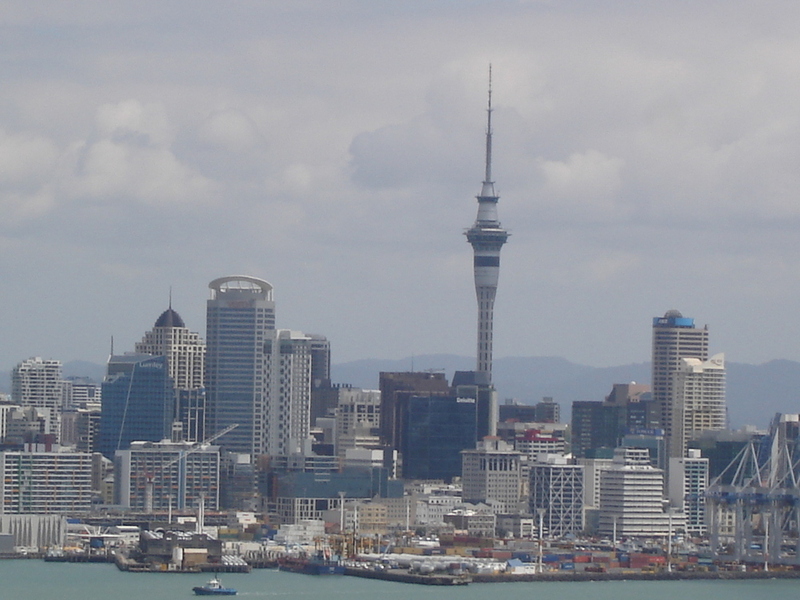 Pray that God will continue to use His people in New Zealand for His glory! In October, I was blessed to travel with Alan Philips, Missions Resource Network’s Associate Director and our Facilitator for Church Planting in the South Pacific. Our first stop was in Auckland, New Zealand. 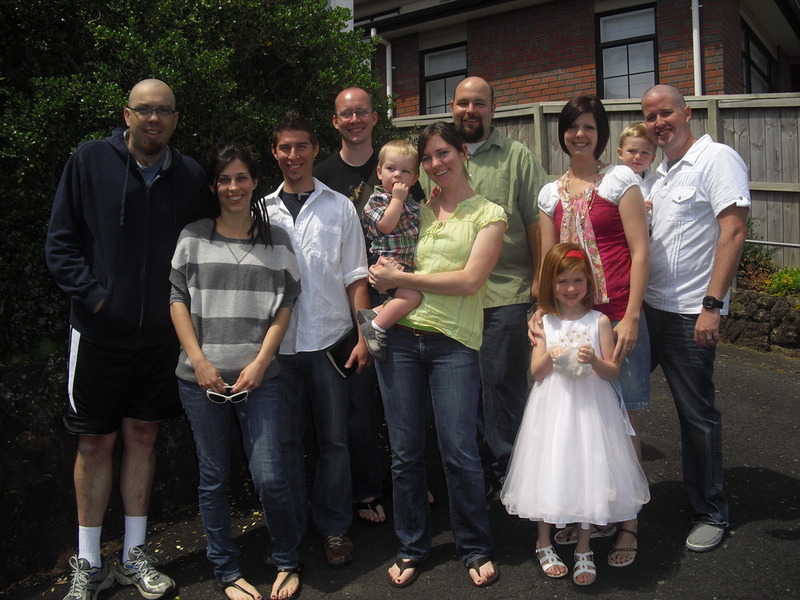 Several years ago MRN partnered together with Sunset International Bible Institute in training a three family mission team for Auckland, New Zealand. Justin, Jennifer, Rylee and Gavin Cherry; Skylar and Morgan Ely and Elijah, Kristen and Caden Peters have been working to begin a new work in the largest city in New Zealand. 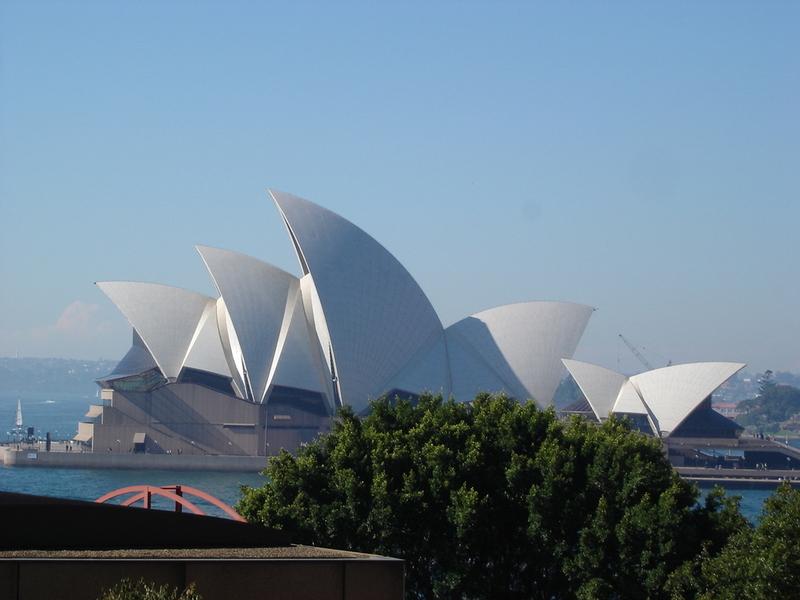 They have invited two new families to join their ministry in Auckland. Paul, Melanie, Rylan and Kason Partlow along with John, Tiffany, Hayden and Hudson Sanders will be joining the Auckland Mission Team in February, Lord willing. Paul and John traveled to New Zealand to join us in a Team Building Seminar with the men on the team. Several days were spent in sharing our stories of how God has brought each one of us to this point, discussing unique giftedness, God-given personality and team roles. Adding two new families to an established team is not always easy and we are making sure we are giving the missionary families every advantage in this transition. Ultimately though, God will guide and lead each team members as they incorporate into a new work and a new team. I was impressed with the way that the Auckland Team has integrated themselves into life in New Zealand and particularly into the lives of many in the Massey area. They have truly become servants in their community, showing all they desire to help people grow to know the Lord in word and in walk. I was also impressed with the importance of every mission team keeping themselves spiritually healthy, relationally strong and focused intently on their calling and their reason for existence. It was good to hear the Auckland team process their areas of strengths and their desire to grow as a team, as missionaries and as a young church. I was also able to meet Logan and Jennifer Rosenbalm, who are interns working with the church in Auckland. They are recent graduates from Oklahoma Christian University. They are doing a wonderful job of serving, learning and sharing the love of Jesus. There also three missionary apprentices from the Adventures in Missions program working with the mission team. I was able to enjoy a Starbuck’s coffee with Cody Marceau, Van Pramulwong and Chris Willis who are from the same AIM class as my son, Ryan. I enjoyed listening to their excitement about the opportunity that God has placed in front of them. I was challenged as I listened to the difficulties they have faced, yet encouraged by their perseverance and desire to grow and be used by God. I even was able to witness the Peters and the AIM guys make their presentation to the 2010 AIM Class in Lubbock. God is being glorified through the lives and service of these missionaries, interns and missionary apprentices. Pray for missionaries around the world as they submit to God’s work in them, through them and around them for His glory. After our time in Cuernavaca, Paul Dowell and I were blessed to be with a group of about 30 servant leaders from four different congregations in Mexico City for a Leader’s Retreat. We were asked to lead them through a process of recapturing their vision for the city, evaluating what God is currently doing among them and set plans in place to join God in His future for the kingdom in one of the largest cities in the world. Paul led the group in discovery through the story of Nehemiah. We were overwhelmed with how Nehemiah’s story spoke so clearly into the current story of the Mexican churches. We joined Nehemiah in prayer and confession. We were motivated to take steps of faith through Nehemiah’s example. His exploration of the fallen wall around Jerusalem became our honest evaluation of the current strengths, weaknesses, opportunities and threat we see in the churches in Mexico City. I was impressed with the vision and boldness of these servant leaders as they committed to specific steps of faith to join God in His work. Nehemiah even reminded us that there will be opposition and attacks from Satan from within and without. However these brothers and sisters have proven through their faithful lives that all that is required is faith in God and perseverance in the journey. I am excited to see how God will work through these four congregations together with strong partner relationships to expand the kingdom of God in the great city of Mexico.